Ahoy, mateys! Join us in the Museum this summer for #FindtheBoat, an Instagram adventure contest! Win a $1,500 cash prize! Every Friday beginning June 15 and concluding July 27, we will post a clue on Instagram leading you to a boat or boat model currently on display in the Museum. Decipher the clue to discover the location of the boat, then snap a selfie with the boat for a chance to win a $1,500 cash prize, along with other fantastic prizes! To enter the contest, you must find the correct boat, take a selfie with the boat, and share it on Instagram with the hashtag #FindtheBoat. (Make sure your Instagram profile is set to public.) The shared photo will serve as one entry to the weekly prize drawings worth $100, and the grand prize, runner-up, and third place prizes. Be the first to find the boat, and you’ll receive TWO entries for the grand prizes. The grand prizes will be drawn at a special #FindtheBoat party at the Museum on Thursday, August 9. You must be present to win! Each week we will unveil a new clue, and a new chance to win. Clues will be released at 10:00 AM every Friday with submissions due the following Friday by 9:00 AM The weekly winner will be announced on Instagram by 12:00 PM each Friday. The last weekly winner will be selected on Friday, August 3. Clues, prizes, and winners will also be listed here on the website once released. Like us on Facebook and follow us on Instagram so you don’t miss any clues! 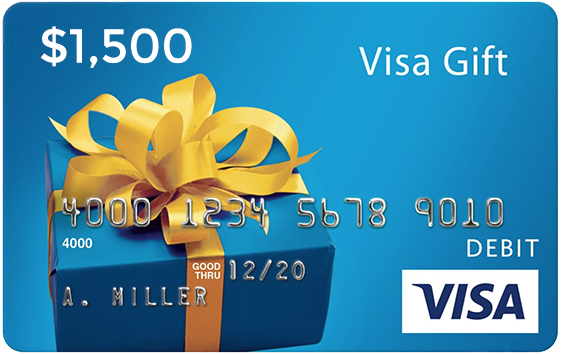 One lucky grand prize winner will take home a $1,500 Visa gift card! Includes 8 special event tickets, flight tastings, 64 oz. growler and fill, $50 gift card, and merchandise. This gift card was generously donated by Peninsula Town Center. Weekly prizes are worth $100 and will include gift cards such as Target, Amazon, and more! Share your selfie with the featured boat with the hashtag #FindtheBoat. Make sure that your account on Instagram is set to public, if set to private, we will not be able to see your photo. Each picture counts as 1 entry. Only 1 entry per week per person. You can enter once every week as the new clues are announced. The first person to find the boat and share their selfie gets 2 entries for the grand prize drawing. Every week 1 winner will be randomly selected from the pool of entries. At the end of the contest, we’ll randomly select a grand prize winner from all the entries at the #FindtheBoat party at the Museum on August 9. You need to be present to win. GRAND PRIZE WINNERS WILL BE ANNOUNCED AUGUST 9, 2018. Miniature, but mighty, this ship features a graceful swan at the stern. With red, white, and blue stacks, this large model sailed the seas for 50 years (1939-1989). Designed and built in Hampton, Virginia, this not-so-small craft was named after the owner’s three sons. This submarine, and decorated defender, sank many ships during World War II. This destroyer took teamwork to build when America called. With square sails, this round ship explored the high seas in the 1400s. Burned to prevent her capture, this ship helped the Confederate Navy monitor the seas. Museum admission is required to enter. Museum Members get free Museum admission. Follow the weekly clues on Instagram, find the correct boat in the Museum, post a selfie with the boat, and share the photo on Instagram using the hashtag #FindtheBoat. Weekly entries are due by 9:00 a.m. on the following Friday, with weekly winners selected on this same day around 10:00 a.m. The new clue for each week will be posted each Friday at 10:00 a.m. on Instagram. Each photo entry per week counts as one entry for the weekly prize and one entry for the Grand, Runner-­up, and Third place prizes. First person to find the boat each week gets TWO entries for the Grand, Runner-­up, and Third place prizes. Weekly winners will be randomly selected from each week’s #FindtheBoat entries. Grand, Runner-up, and Third place prizes will be randomly drawn at the winner selection event on Thursday, August 9 from 5:30 -­ 6:00 p.m. You must be present to win. Entries will only be received through Instagram. To sign-up for Instagram, go to your mobile phone’s app store to download and begin. Prizes may contain certain age restrictions. By sharing photo entries using #FindtheBoat, you are giving permission for the Museum to share your photos on social media platforms for promotional purposes. Photo credit will always be given. No purchase necessary. Entries can be submitted by mail with your name, address, email, and phone number. Each prize may have certain restrictions. Contest open to all Museum visitors and Members. Museum employees and immediate family are not eligible for prizes.